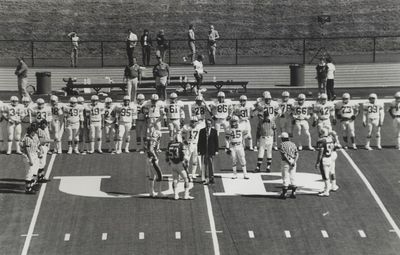 Dedication to UB's new football field Sept. 1985. Cortland v. UB. First game on the new omniturf.